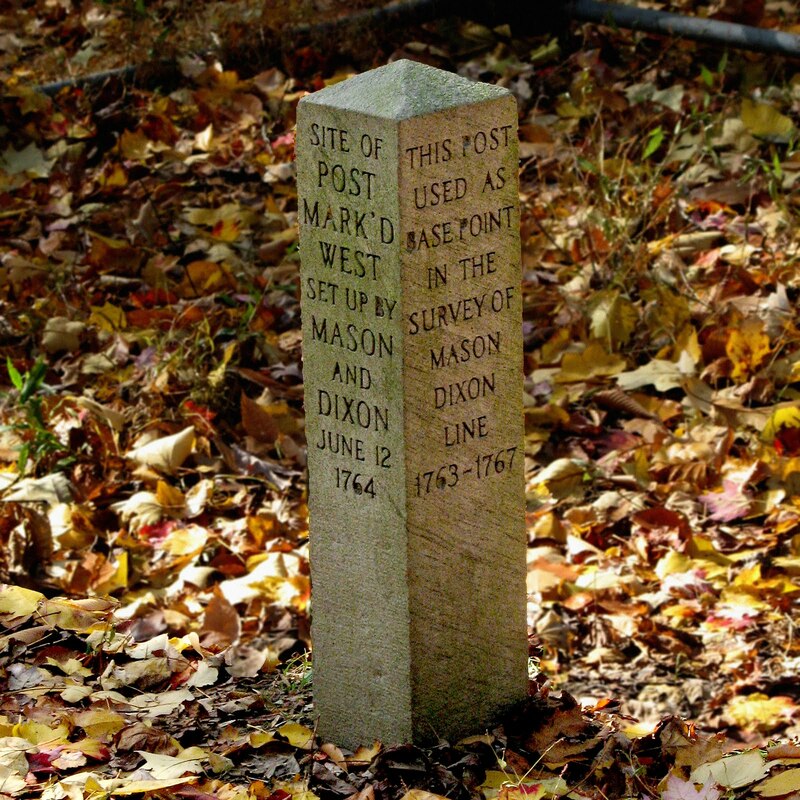 After establishing the observatory at Harlan house, due west of the southernmost point of Philadelphia, Mason and Dixon surveyed south 15 miles to the latitude that would be the boundary between Maryland and Pennsylvania. 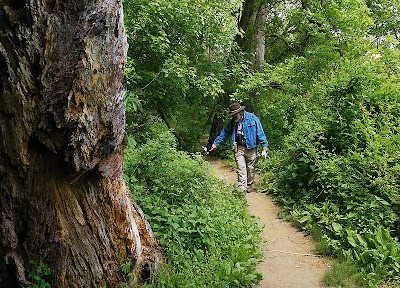 They arrived at latitude 39º 43' 18.2" in a field on the farm of Alexander Bryan. 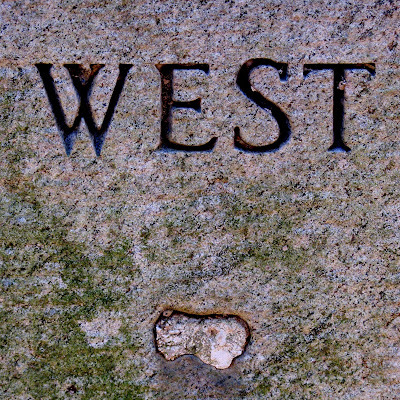 As the first monument on the west line they placed a white painted oak post with the word "West" painted on it. 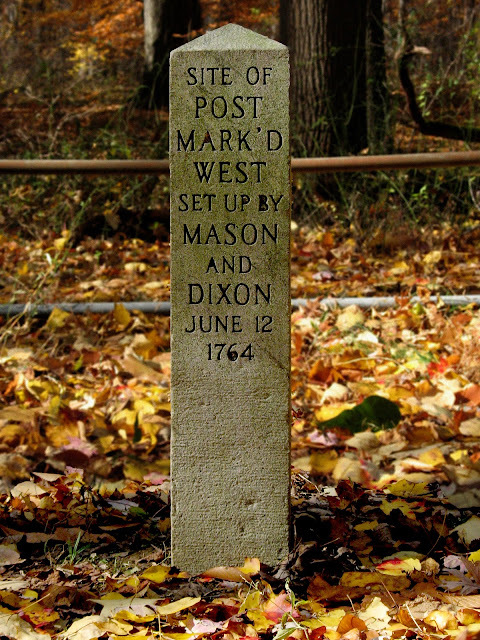 Mason in his journal referred to this marker as "The Post Mark'd West." This post lay on the latitude of the Maryland Pennsylvania boundary; it did not lie on the boundary. 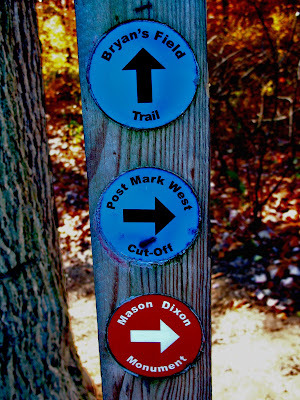 The spot is significantly east of the northeast corner of Maryland. 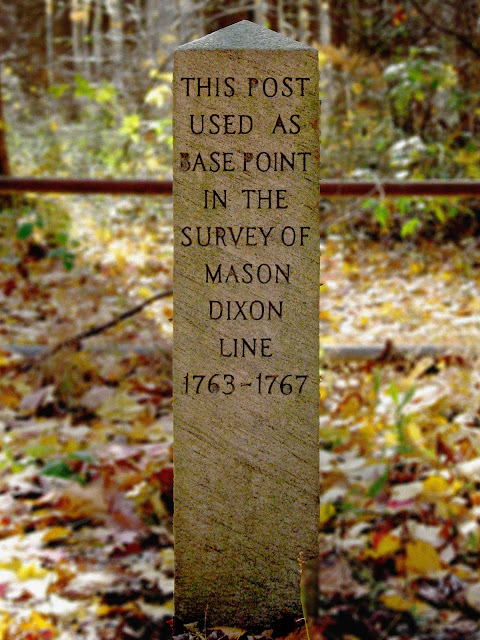 Since it was not actually part of the boundary, Mason and Dixon used a wooden post rather than a stone monument to mark this spot. 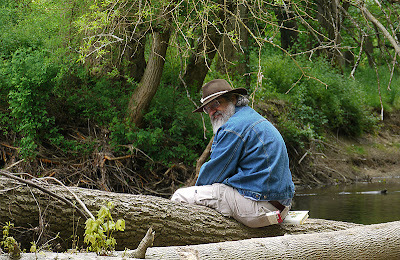 Eventually, the post was lost. In 1952, William Mahoney re-located the site and marked it with a small post. In 1953, Halleck DuPont, the property owner, put up this stone monument. 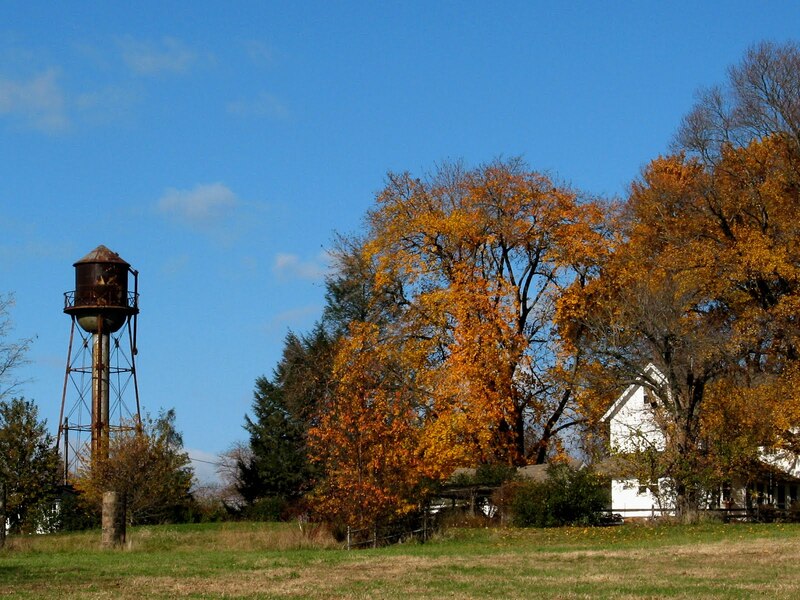 Today, Bryan's Farm and the monument are in White Clay Creek State Park. The site is well marked along the Bryan's Field Trail. 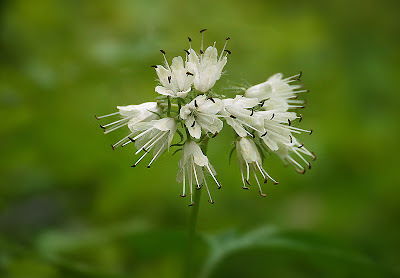 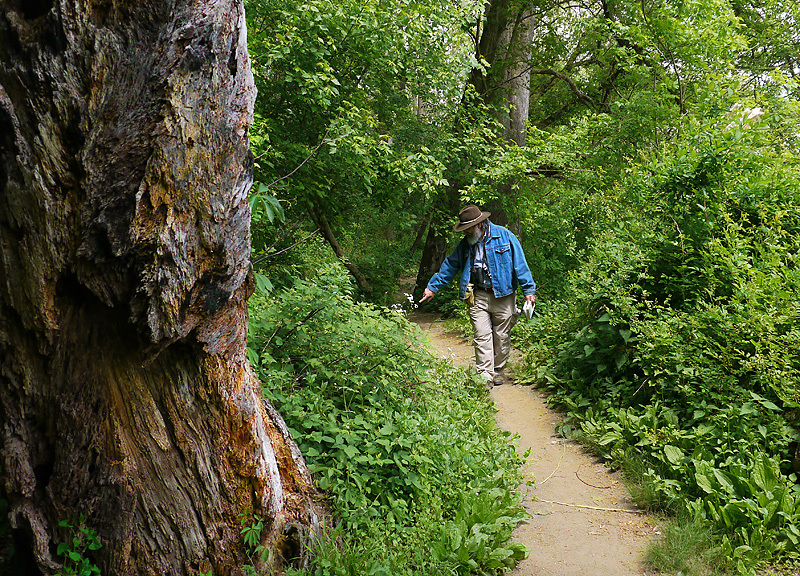 Wildflowering along White Clay Creek, Jan caught me pointing out Virginia Waterleaf. More of Jan's excellent photos of White Clay Creek are here.